Why do businesses send such stupid emails? Brands send out emails which do not get opened in spite of knowing what people really want. Personalisation of email marketing doesn’t go far enough. To gain more engagement you need to make it even more personal and individual. Email critics are getting ever louder, but email is not the problem; job design is the problem. Email marketing consistently comes out as the best method of generating sales online. It is significantly better than social media. Email open rates are falling, yet some industries outperform others significantly. Learning from those sectors shows three things you must do to boost email open rates. Competition for attention is fierce in emails. Here are tips on getting your emails noticed. Can you send out too much email marketing? Will your customers get annoyed or fed up? This article explores the boundaries. Email marketing has limited impact if the recipient does not know who you are. Study shows that offline branding could be vital in email success. Smartphones are now the main way of accessing email. If your emails are not mobile friendly expect lower results. Email is wasting so much time it is possible it is one of the reasons why we have not crawled out of the recession very far. People turn to email as second nature these days. They expect you to respond and monitor all incoming channels. How much time will you waste on email in 2013? Email is a time-waster. Here are some tips on saving time with email. Email, Phone Call or Facebook? Which way should you communicate? Email or Facebook or Phone Call – which is the best way to communicate with your clients and prospects? New research suggests an easy answer. Could plain text emails make a comeback? The combination of more mobile usage of email and reduced bandwidth availability could mean that fancy graphical emails become less popular. Email interruptions slows us down and reduce productivity. But interruptions from people make us more productive. 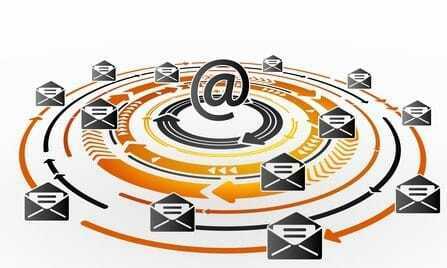 Email marketing is superior to other forms of online marketing. Research shows it is more effective than websites or social media. Constant email and always having email windows open can damage your health by keeping your heart beating too fast. Control your email before it controls you. Email marketing is more important than ever these days. People are increasingly turning to email for business information. Checking emails late at night can affect your sleep patterns, say experts. Avoid sleep disruption with an effective email strategy.